Love tousled curls and this week I am favouring the curls piled into a high ponytail. I think the high ponytail works best, it adds some sophistication to the look. Wear it streamlined (perfect for a wedding) or messy (perfect for a casual weekend)! I’ve completed my first overseas trip, to four cities in the USA. 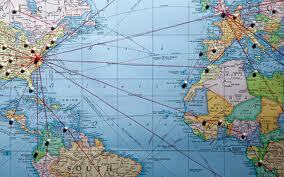 I was born with the travel bug, and it is just getting worse. I am very keen to travel. I am very keen to have a map in my house one day that signifies everywhere I have been. Next overseas trip? England, France… and mayyybe Ireland/Scotland! I love the studs&spikes trend, for a long while I have lusted after a pair. My pinterest account will back me up! I found a pair I loved in Las Vegas. 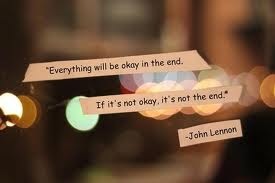 Reminds me, when things are feeling their worst, it will be ok.
Life has a way of sorting things out. I just have to remember to believe that. You start and end with family. The show Modern Family is a hilarious take on family in the current day. I love to watch this with my family as we can all relate to it, especially different characters. I love my family, no matter the disagreements, conflicts, challenges that life has thrown us. My immediate unit of five is strong, supportive and capable of anything that comes our way. We will make it through, together. No matter what. What is inspiring the start to your week? Or what are you looking forward to?